Desk style lamps aside from being used in the office or homework space make great nightstands near the bed. They work as great reading lamps for those nights you want to catch up with a book or read something on your iPad. Before choosing your desk lamp, first, think about why you want that lamp. Some lamps work well at specific tasks. Below are some of the features to consider before getting one. Lighting type: Majority of the newer desk lamps use LED technology. LED light is very energy efficient and has a longer life than fluorescent lights. Also, LED lights do not heat up when they operate. Brightness: Desk lamps come in different variety of lux and wattages with its lights. Lux associates with brightness while wattage is all about the amount of power that the light needs to work. With the right brightness coming from your desk lamps, this would reduce possibilities of eye strain. Color temperature: Warm yellow lights are at 2,700 Kelvin, bright white light is 3,500K to 4,100K, white light is about 3,000K, and bluish white light is 5,000K to 6,500K. Like it warm or cool will be up to your preference. Location: Take note of the location as to where you want to put your desk lamp, make sure the model you choose will suit the spot of your choice. Style: There are lamps which have a design that fits a specific decor of a room. Hence, putting a traditional lamp in a contemporary room will look out of place. Below are some fantastic styles that can give some inspiration whether at home or work. Ordering lighting fixtures are now much more accessible; one can easily find and buy lamps online. More office spaces are working with a modern theme. Modern desk lamps come with modern technology and furnishings. This type of lamps will complement a lot of modern offices. The hanging bulb desk lamp is plain looking, but it does give out an air of creativity. It works best with architects and designers who continually works with small prints. An overhanging bulb provides that extra beneficial lighting, and it only takes up a small space, so it gives you more space to work with. Modern desk lamps have a counterpart, and that would be the classic 1930s inspired desk lamp. It is a smart and adjustable light that can perfectly blend in a retro style office or workspace. 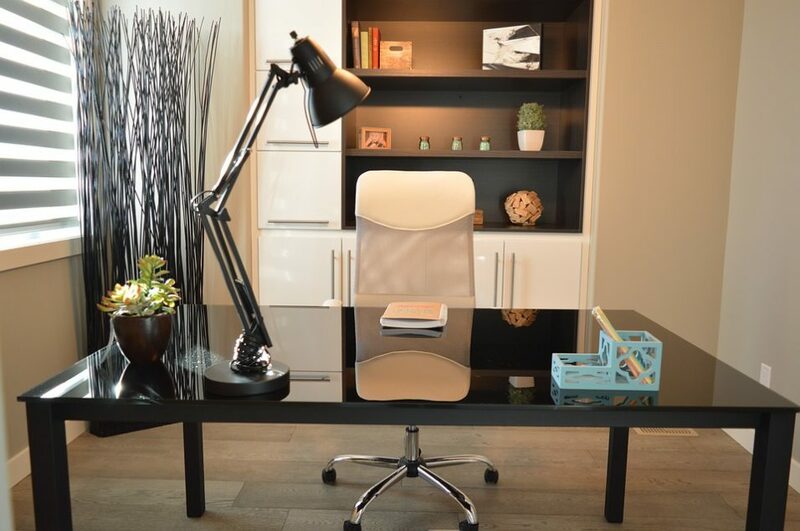 Offices can encourage their employees to be creative with a DIY design of a desk lamp. Employees love workspaces that allows them to express their individuality and have fun at work at the same time. The more quality is put on workspaces and furniture the longer it needs to be replaced.